Axpona is going on April 12-14 in Il so wonder if theirs info on this new speaker yet? 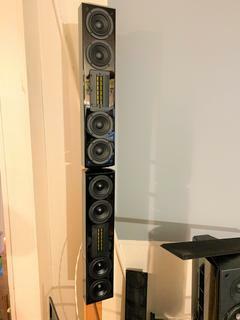 Somebody here snag these Speakers? I agree with everything you said...First word to last. Topic: What A Wounderful Forum ! Build the Wall and build it now! Nice. PS Audio seems to be really in the game these days. I love Audio - but have been UN-Interested in speakers since Bob released the Amazings in the late 80's but I must say those might be my next pair!